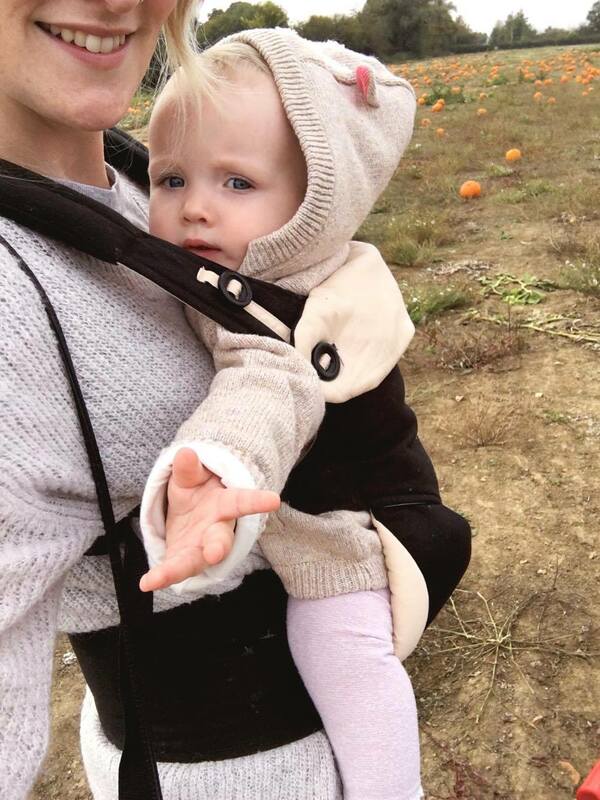 I haven't been much of a Hallowe'en 'go-er' but I hope that will soon change when Olive gets a little older and shows more interest. We hosted parties at uni and one year at home where we all made a great effort with facepaints, homemade costumes and even hair dye but as I grow older I seem a little less interested. Perhaps it is one of those things that our parents used to say "It's for the kids" -referring to Christmas - NEVER!! 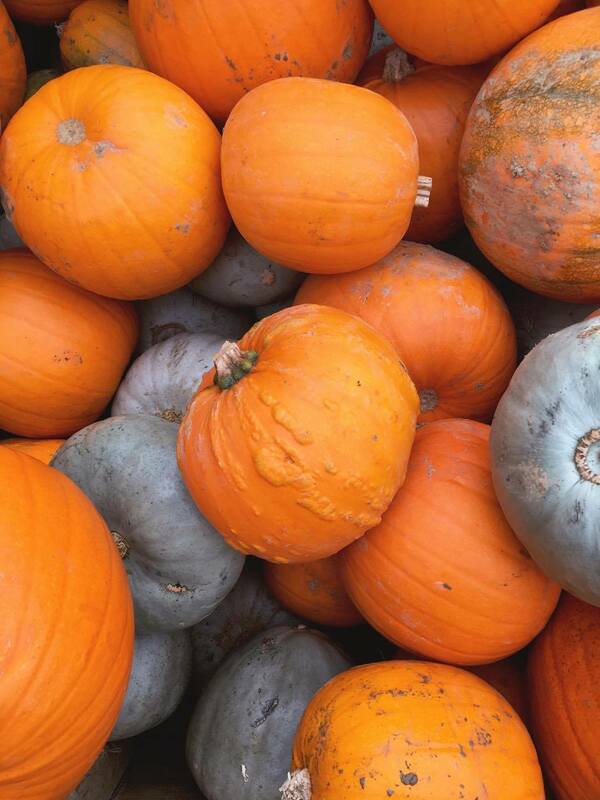 I hope to hang ghost shaped bunting across the walls and pretend cobwebs on the mantel, make orange jelly and bat shaped biscuits and carve a couple of pumpkins for the window sill. 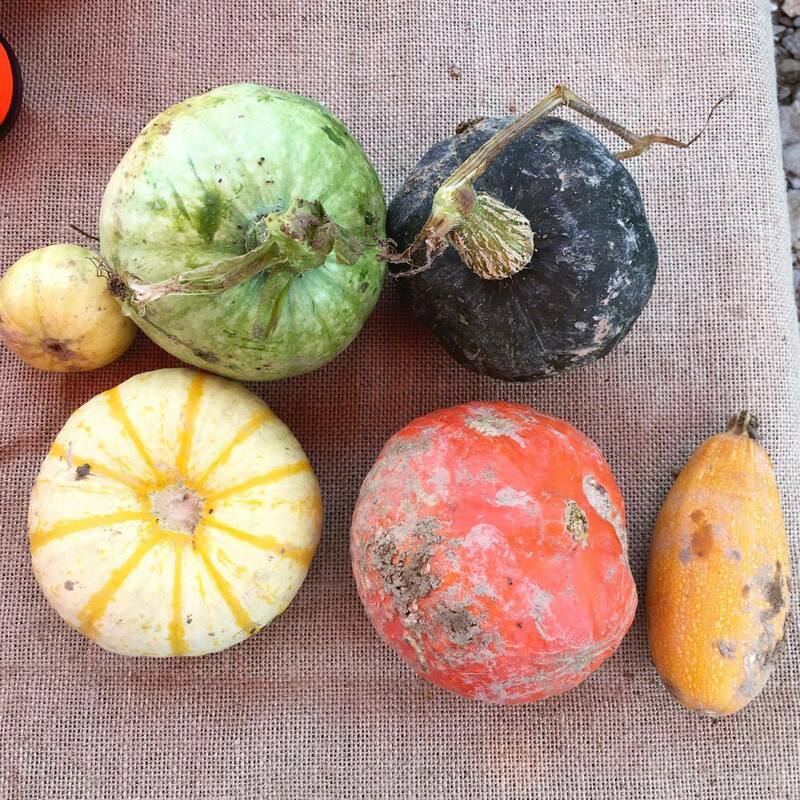 But this year, I had decided on a selecting a strange looking gourd or pastel squash and watching a horror whilst eating ghost shaped chocolates. 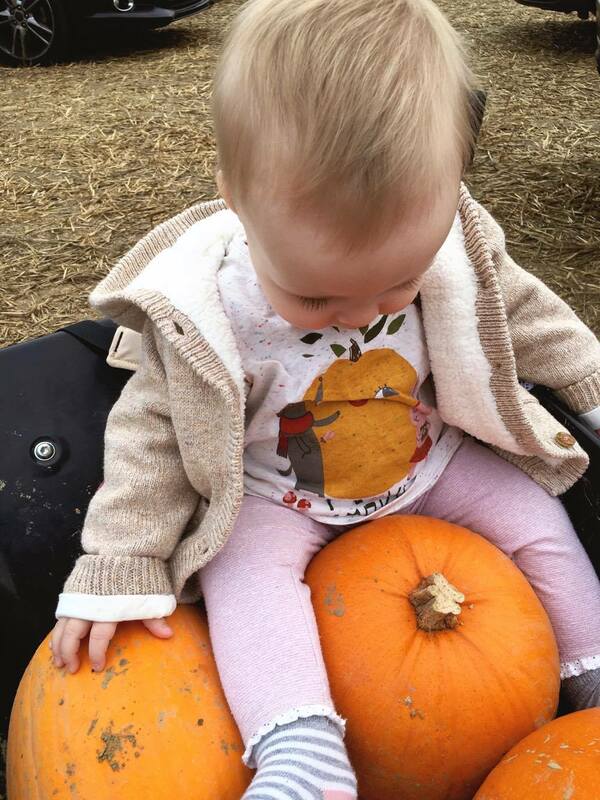 Oh and dressing Olive in her 'I love pumpkins' Zara top. 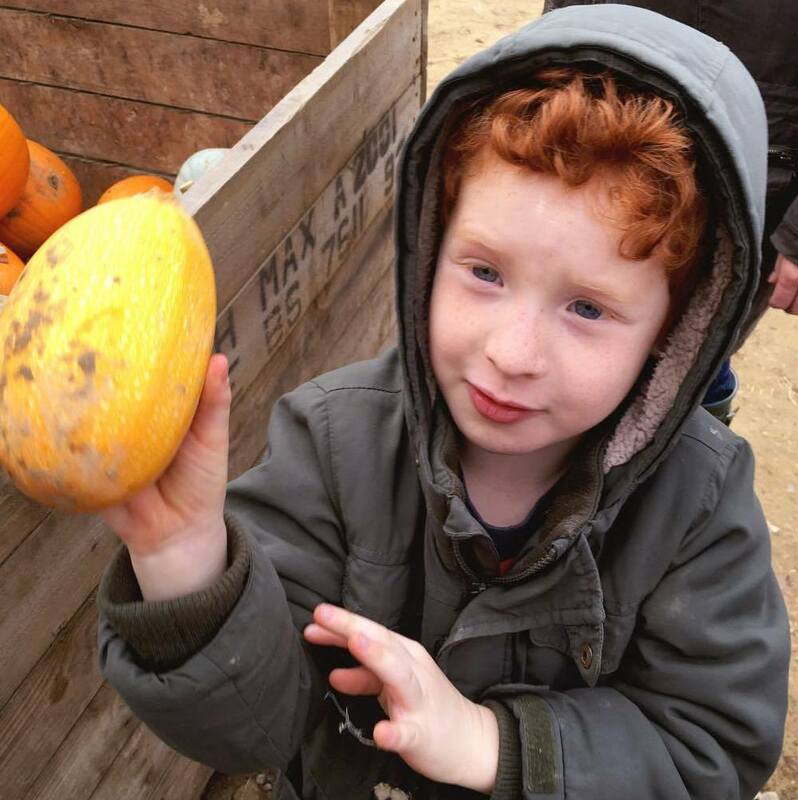 Last week my sister and I took the littles to the local PYO Pumpkin farm to select the perfect squashes for carving (or for sitting pretty, untouched!). My sister takes her boys every year and I have always wanted to go. 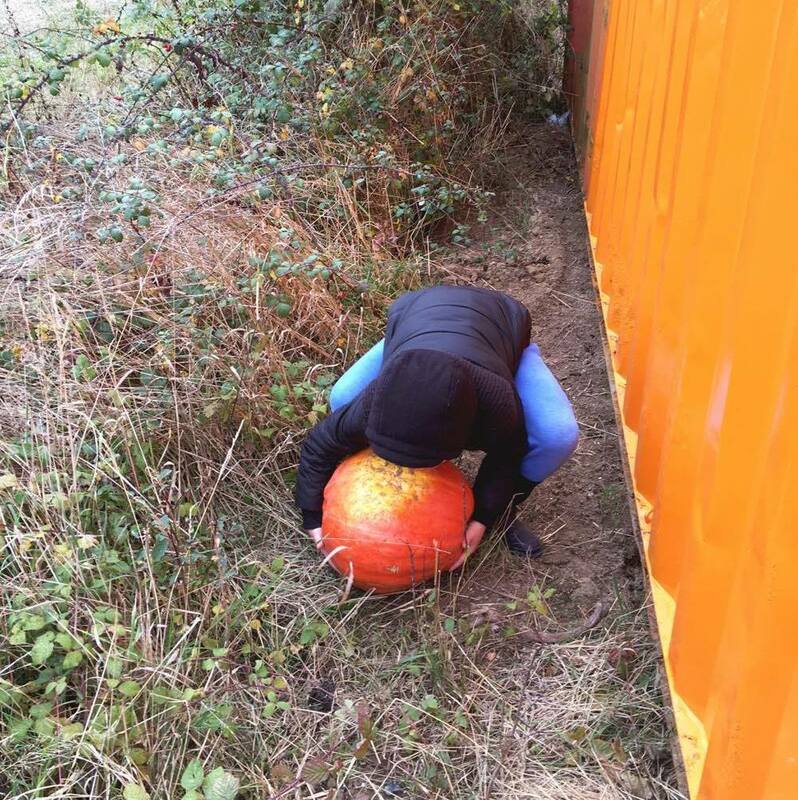 With my pockets filled with Hallowe'en treats for the boys, and the ERGOcarrier filled with little Olive, we grabbed a wheelbarrow and started the hunt for the biggest orangey hued balls of fruit we could find. Wading through the curly roots and roaming spiders and their floaty webs we walked along the dry mud tracks stopping occasionally to inspect a squash or two. Felix was looking for the biggest he could find, Ralph, the ideal size and height for his carving idea and myself a pastel muted grey type. Ralph found his pretty early on and decided to take charge of the squeakiest wheelbarrow on the planet. 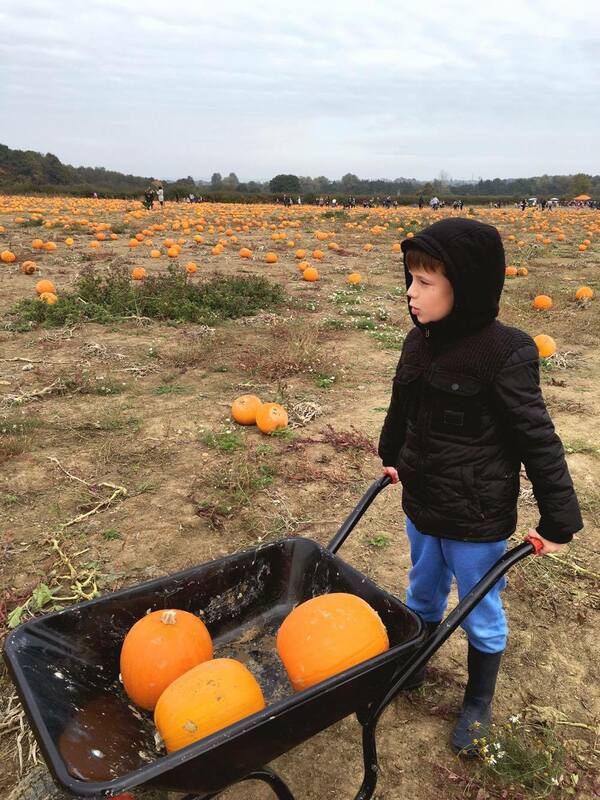 Though it was half term it was fairly quiet and the farm still had plenty of pumpkins dotted around to be collected by children and dressed up witches alike. Though I can imagine it was busy this weekend. 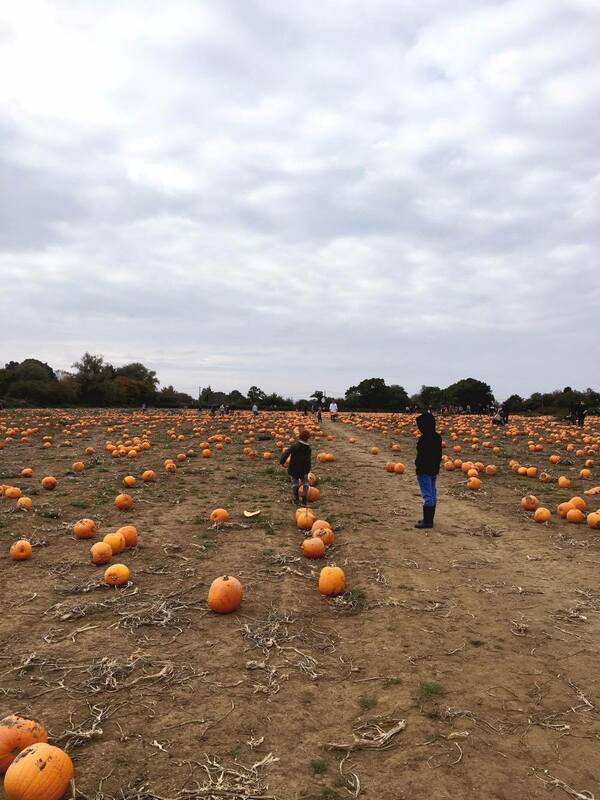 Last minute Hallowe'en plans and busy parents. It was a lovely morning. 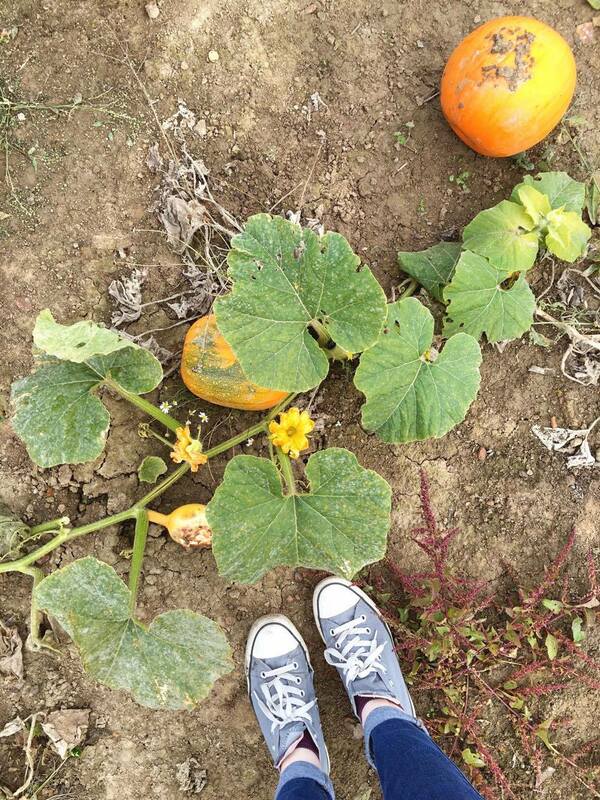 Though I didn't have plans to carve any pumpkins or to dress my house or my face seasonally, I do love a good adventure and a PYO farm. I wish there were more farms around that offered that service. There is nothing more wonderful than visiting a farm to pick your own blackberries and coming home to pop them in your homemade crumble. Sounds idyllic. One day. 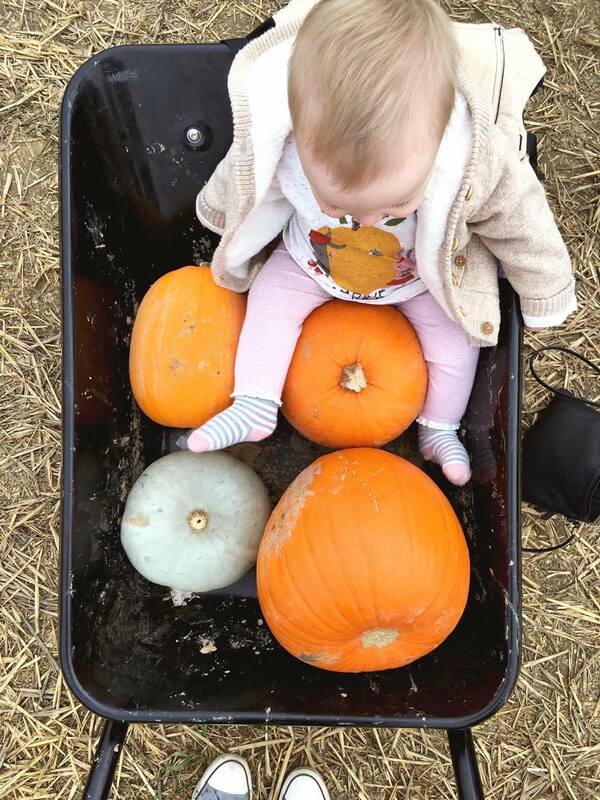 Anyway, next year I will definitely be back with little Olive to help me choose a pumpkin for her Daddy to carve and I shall be sure to make themed biscuits and hang ghost shaped garlands and make Pumpkin soup - New traditions. 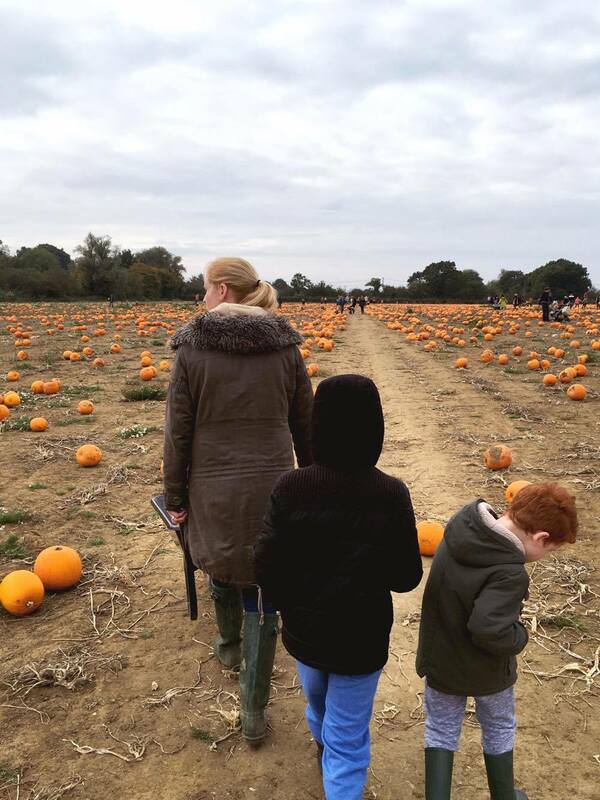 Do you have any family traditions when it comes to Hallowe'en, big or small? What are your plans this year? 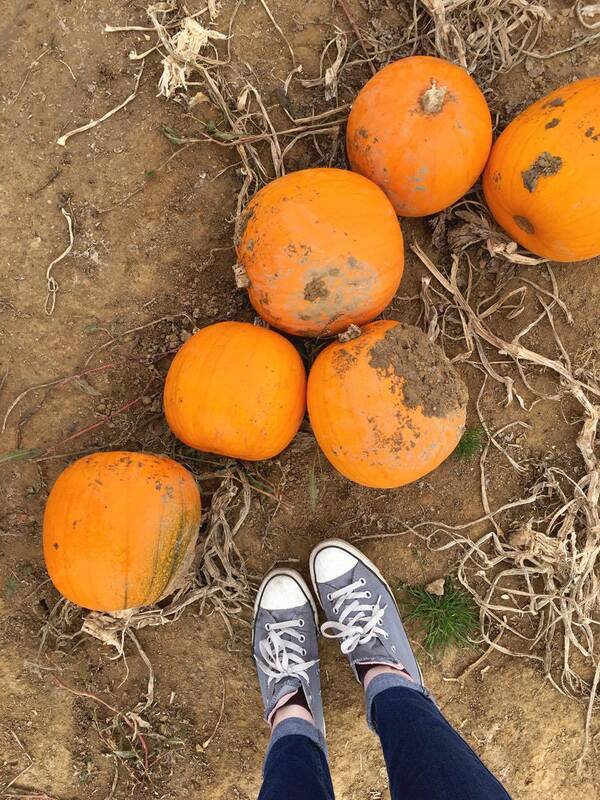 Baking, Parties, Carving? 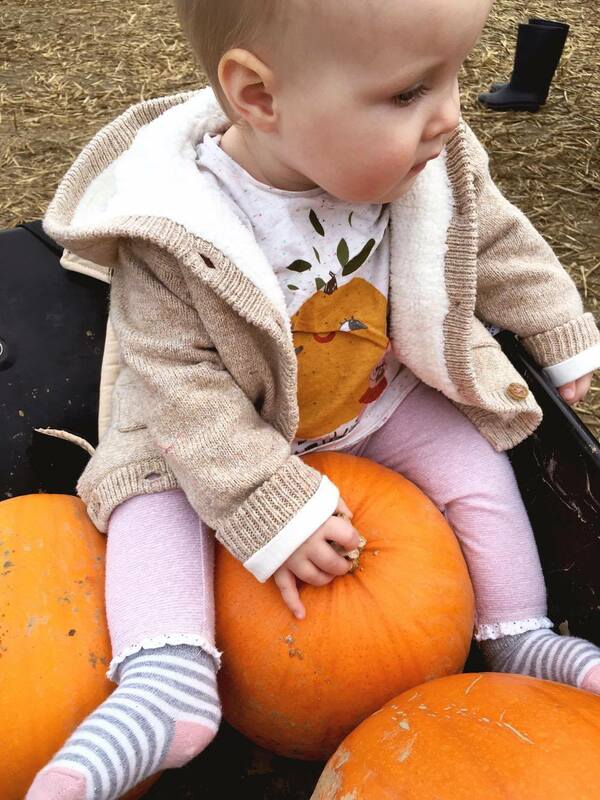 Olive sitting on the pumpkin in her lil' punkin shirt = priceless! Sooo adorable! I guess because this is only happening in the last few years, due to all the American films on tv and so on. Spain too is celebrating Halloween now when the tradition is to pay your respect to your relatives that passed away by visiting the cemeteries (by daylight, nothing spooky), cleaning their graves and leaving fresh flowers on them. It's the time of the year when the florists open their shops even on sunday. And you see the people with all the flowers and having season sweets and roasted chestnuts. 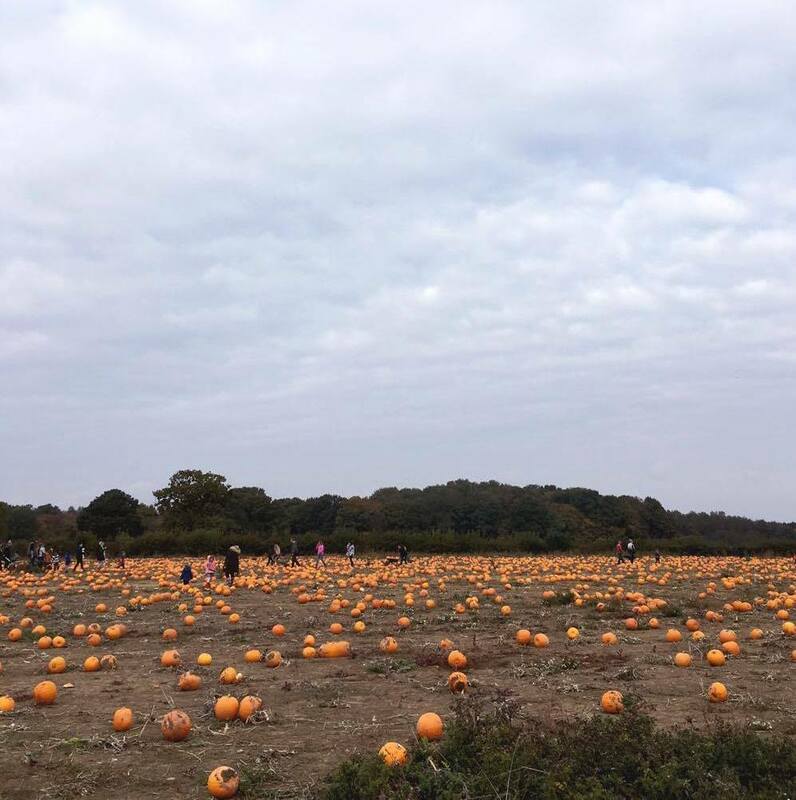 Now it's weird because there's still the flowery side of the holiday but also little monsters trick or treating and the coffeeshops and bakeries are decorated... the first couple of years I was reluctant to join the trend but eventually you've got to roll with it. I wonder if we will ever celebrate Thanksgiving... now, that makes no sense for us, but who knows. 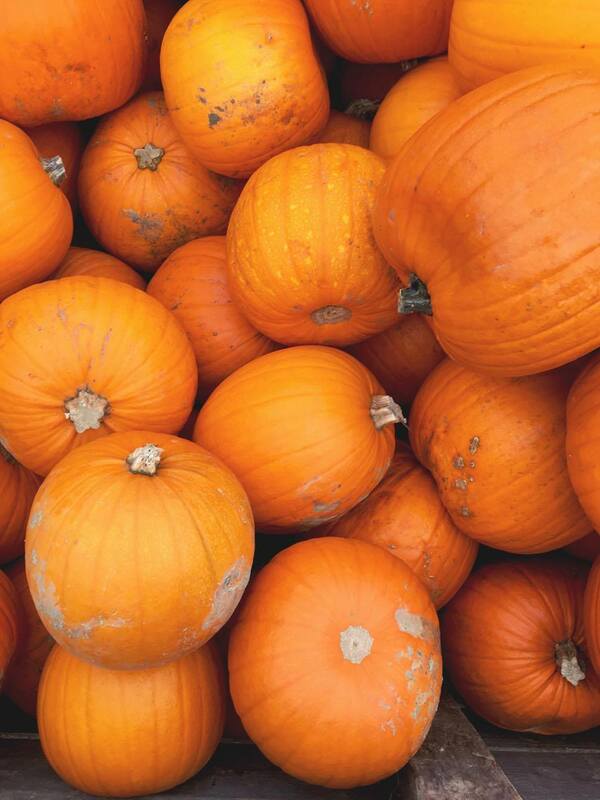 I'm like you, I'm really not into Halloween anymore, I liked it at uni but it was just an excuse for a night out aha! Sounds like it was a lovely family day out anyway, Olive is such a cutie!